Dwarfism is a defect in cattle that results in animals that are small and often have structural deformities. In some cases, it is lethal to affected calves. While the causes are not fully understood, farmers take care with the pregnant cow's diet and use genetic testing to prevent the condition in calves. Dwarfism in cattle is a genetic condition created when the calf receives mutated genes from one or both parents. The specific genes involved are different in different breeds of cattle. For example, dwarfism in Angus cattle is caused by a mutation in the GMP dependent, type II protein kinase (PRKG2) gene. Dwarfism in other breeds, such as Hereford cattle, is caused by multiple genes. In some cases dwarfism may be caused by environmental factors. Dwarfism has been linked to the virus causing bovine viral diarrhea, fungal toxins and plant poisons. In addition, according to the Farmer's Journal, a manganese deficiency during pregnancy may also be linked to dwarfism. Symptoms of dwarfism vary by breed but usually include short stature and deformities in the limbs, head and spine. Other conditions, including cleft palate and abdominal hernia, are also common in dwarf cattle. In some cases, such as that of a Dexter calf who receives mutated genes from both parents, dwarfism is lethal and the calf is aborted. The American Angus Association requires cattle to be tested for mutations in the PRKG2 gene before breeding. To discourage farmers from breeding cattle with the mutation, such animals may not be registered with the Association. In other breeds where multiple genes are involved and the genetic cause is not fully known, prevention is more difficult. However, once cattle are identified as carriers of dwarfism, they are removed from the herd of breeding stock. Farmers also control environmental factors by ensuring the pregnant cow eats a nutrient-rich diet and does not ingest poisonous plants. Currently, no treatment or cure exists for dwarfism. 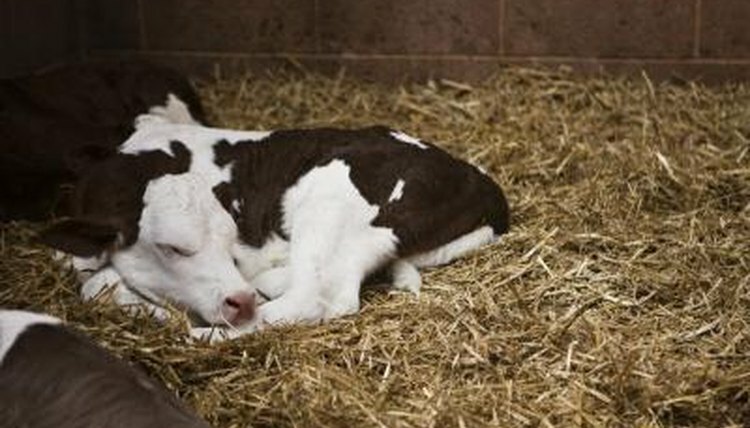 Depending on the severity of symptoms, dwarf calves may be euthanized.